Sentinel Bridge marks the southeast corner of this hike (more east than south, really; it's located at the number 2 on the trail map). 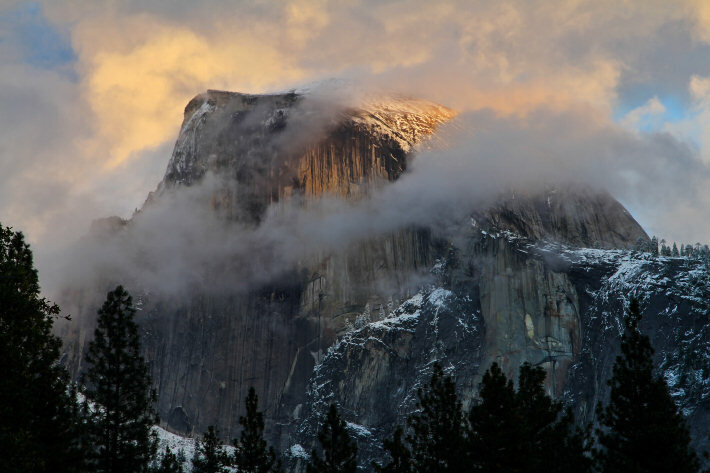 It's famous for its view upstream to Half Dome, which serves at sunset as a sort of photographer flypaper. Odds are fair that at sunset the camera gear on the bridge adds up to have cost more money than any of the cars	driving over it.